What are some of the things John Owen said about the Covenant of Redemption? did he think it was different that the Covenant of Grace? (6:345) = The Works of John Owen published by Banner of Truth Trust, Volume 6, Page 345. (Hebrews, 3:37) = John Owen on Hebrews, Published by Banner of Truth Trust, Volume 3, Page 37. (6:278 AS) = The Works of John Owen as scanned and edited by Ages Software on Computer CD, Volume 6, Page 278. (Hebrews, 2:45 AS) = John Owen on Hebrews as scanned and edited by Ages Software on Computer CD, Volume 2, Page 45. It is often the case through church history that people want to “own” the foremost theologians of the church in their system of theology; our day is no different. For instance, almost everyone would like to claim John Calvin as their own. Even Arminians have done this, claiming Calvin never wrote about limited atonement. Everyone desires to have John Calvin, the most distinguished and accomplished theologian in the history of the church, “on their side.” Who would not? Aligning one’s self with the “greats” of church history gives us a sense of “orthodoxy” in some respects. This same desire is attributed towards the English Puritan theologian John Owen. Owen has been deemed, rightly, as the greatest theologian who wrote in the English language, with possibly Jonathan Edwards as a rival. (And Edwards is another that many, including Arminians, attempt to claim for their own.) It is fair to say that John Owen has affected, and theologically persuaded, many future theologians and pastors on almost every side of the theological fence. Owen, though is he is dead, still needs to be rescued from those who obscure his theological views surrounding Covenant Theology. There are far too many selective citings of Owen on the Covenant of Grace, over and against his theology surrounding the support of the logical necessity of the Covenant of Redemption. What is a covenant? According to Owen, the Covenant of Works subsists in the foundation or template for all covenants. He says, “The whole entire nature of the covenant of works consisted in this, — that upon our personal obedience, according unto the law and rule of it, we should be accepted with God, and rewarded with him. Herein the essence of it did consist; and whatever covenant proceeds on these terms, or has the nature of them in it, however it may be varied with additions or alterations, is the same covenant still, and not another. As in the renovation of the promise wherein the essence of the covenant of grace was contained, God did ofttimes make other additions unto it (as unto Abraham and David), yet was it still the same covenant for the substance of it, and not another; so whatever variations may be made in, or additions unto, the dispensation of the first covenant, so long as this rule is retained, “Do this, and live,” it is still the same covenant for the substance and essence of it.” (5:275, Emphasis Mine) This is striking in that Owen templates the structure of “covenant” in “do this and live.” Even in terms of making a covenant with men in the Covenant of Grace, Owen still defines the covenant as a pact or agreement when he says, “Now, a covenant between God and man is a thing great and marvellous, whether we consider the nature of it or the ends of it. In its own nature it is a convention, compact, and agreement for some certain ends and purposes between the holy Creator and his poor creatures. How infinite, how unspeakable must needs the grace and condescension of God in this matter be! 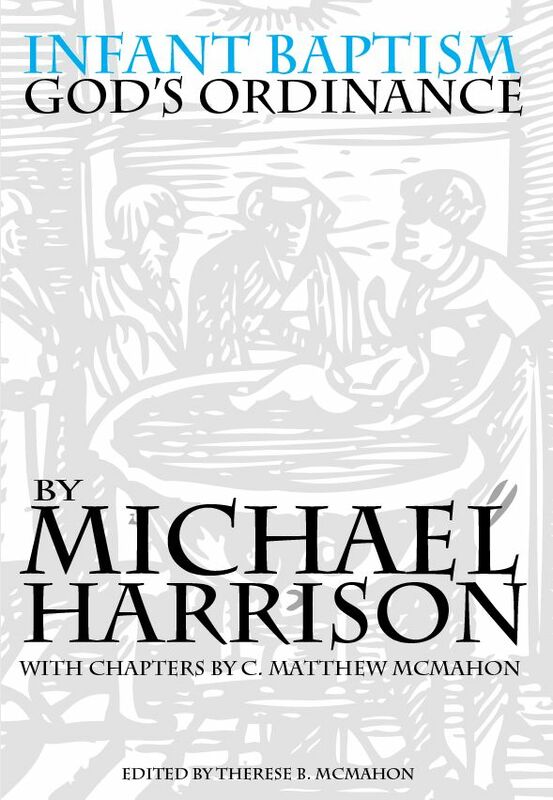 For what is poor miserable man, that God should set his heart upon him, — that he should, as it were, give bounds to his sovereignty over him, and enter into terms of agreement with him?” (6:470) He also demonstrates that the Covenant of Grace is a continuation, or completion of all previous covenants, and is ultimately based, through Redemptive History, on the Covenant of Redemption (i.e. the works based covenant to fulfill the demands of the Lawgiver), “The new covenant [i.e. the Covenant of Grace] as a re-collecting into one all the promises of grace given from the foundation of the world, accomplished in the actual exhibition of Christ, and confirmed by his death, and by the sacrifice of his blood, thereby becoming the sole rule of new spiritual ordinances of worship suited thereunto, was the great object of the faith of the saints of the Old Testament, and it the great foundation of all our present mercies.” (Hebrews 6:113) Within the Covenant of Redemption, where the Son enters into a covenant with the Father to “do His will” for the Redemption of his elect, Owen also describes this “covenant” as a “compact. He says, “The third act of this sending is his entering into covenant and compact with his Son concerning the work to be undertaken, and the issue or event thereof.” Owen describes the Covenant of Redemption as a covenant where the Son must work, based on the Father’s decree to send Him to save and redeem sinners, “so as that God might be everlastingly glorified in the work which he was designed unto, and which by him he had to accomplish.” (Hebrews, 3:78) This Owen links to the creative power of the Son in framing the worlds, that there would be a context in which His work would take place. However, though the Son takes up the “work” decreed for Him to accomplish, if men attempt to take up this work themselves, they will consistently fail. Owen says, “Those who seek him according to the law of works, and by the best of their obedience thereunto, shall never find him as a rewarder, nor attain that which they seek after; as the apostle expressly declares, Romans 9:31, 32.” (Hebrews, 6:56) The reason for this failure is their mutable inability to uphold the demands of the Law in any covenant. Owen continues his description of the pact by demonstrating that the promises are made between the Father and Son upon supposition that each will fulfill his duty to the other. He cites Isaiah 42:4, 42:6, Psalm 16:10; 89:28, and Isaiah 50:5-9 for support. In the duties of the work itself, he cites Hebrews 12:2, Isaiah 42:1-4 and Hebrews 7:28 for support. Christ is the High Priest forever. Thus, there is a distinction in the mind of Owen in the manner in which one will exposit the various covenants found in the books of Hebrews; i.e. he makes distinctions between the Covenant of Redemption and Covenant of Grace when dealing with the book as a whole and how they relate to one another. In continuing in his 12th volume describing this pact as the Covenant of Redemption in detail, Owen explains that the Lord Jesus “accepts of the condition” of the covenant. This is something that anyone entering into a covenant must do when the covenant stipulations are placed on them. That does not mean fallen men, in and of themselves, can fulfill any covenant obligation upon them; even in the case of Adam, being perfect but mutable he failed to keep covenant as well. But the Covenant of Redemption demonstrates that the Father is going to bestow the ability and power of the Spirit on the Mediator that this task will be accomplished. In terms of the Covenant of Redemption breaking out into time and upon the Covenant of Grace, Owen demonstrates that men conditionally enter into covenant, but by the unconditional nature of grace enabling them to do so. Thus, the effect of the Covenant of Redemption has profound implications on the manner in which any theologian or preacher understands the nature of the Covenant of Grace. This will be seen in the time-demonstration of the Covenant of Redemption as the Covenant of Grace later. Upon an interesting note, Owen believes that when Jesus refers to the Father while incarnate He is referring to the Covenant of Redemption. Such is the case with John 4:34, “Jesus saith unto them, My meat is to do the will of him that sent me, and to finish his work.” Jesus is under “another’s will,” is “sent,” and has come to “finish the work” He started. How does the Covenant of Grace relate to the Covenant of Redemption? The Covenant of Grace, for Owen, is the expression of the Covenant of Redemption in time. They are not the same covenant, as was stated previously, but the Covenant of Grace depends on the Covenant of Redemption for its existence. Owen foundates everything that happens in time on an orthodox Theology Proper and the immutable nature of the divine decree (e.g. 11:210). Thus, the irrevocable decree of election is bound up, for Owen, in the Covenant of Redemption. The Mediator, as we saw, is placed under stipulations to fulfill the offices of prophet, priest and king in time. In doing so, He fulfills the Lawgiver’s “law” and ratifies the Covenant of Redemption, substantiating the Covenant of Grace. Owen rightly believes that the Covenant of Redemption and the Covenant of Grace are enacted and fulfilled by God; either through the eternal pact, or Testator of the New Covenant. How is this so? He says that in the Covenant of Grace it is the “undertaking of God on both sides in this covenant” that makes all the difference. (11:211) How then, is there a differentiation between these two? Is it simply a matter of one decreed before the foundation of the world, and the other within the context of a created order, both “seemingly” the same covenant? Owen’s definition of “covenant” will not allow this distinction. He has already made the distinction that the Covenant of Redemption and the Covenant of Grace are different. One is an inner-Trinitarian pact, and the other is between God and man. How then, can Owen say that the Covenant of Grace is something God accomplishes “on both sides” and still be distinctive? The answer to this lies in the unfolding of Redemptive History, and the manner in which the Covenant of Grace is executed between God and men, but fulfilled by Christ’s work – the result of the Covenant of Redemption. The Covenant of Redemption cannot be broken. (12:497ff) The Father and the Son have immutably fulfilled it. The Covenant of Grace, for the elect, cannot be broken because it logically flows from the Covenant of Redemption. However, those “covenanted” with God, who are not regenerate, something Owen contends for, will always break the covenant and enact the threatenings held in the sign placed upon them. (16:258ff) That does not break or distort the work of the Mediator for those whom He has been Mediator. It does, though, place all others covenanted in this way under the covenant obligations, or as Owen says “conditions”, either of the Old Testament covenants or of the New Covenant under the Gospel that they can never keep. But for the elect, the blessedness of the Covenant of Grace is seen in these words, something that Owen everywhere testifies to, “Whom God accepts in Christ, he will continue to do so for ever; whom he quickens to walk with him, they shall do it to the end. And these three things, acceptance with God, holiness from God, and a defense upon them both unto the end, all free and in Christ, are that threefold cord of the covenant of grace which cannot be broken.”(11:179) Part of the confusion here is due to the fact that many make the Covenant of Grace too restrictive. They do not allow for Owen’s “covenant” definition, and therefore concluded that the Covenant of Grace is something brand “new”, not a renewal of anything former, and made internally, without any external portions, only with the elect. In each “covenant” that God enters into, Owen says, “that God’s solemn renewal of the covenant at any time is called his making of or entering into covenant needs no labor to prove.” (11:214, Emphasis mine.) In other words, in each instance we find a “renewal” of the former promises given to God’s people they enter into the Covenant of Grace with Him, and each “making” of it, is a renewal of the former, but then progressive. This is where Owen emphatically disagrees, even if only on the basis of the Covenant of Redemption, with those who would “simply” equate the Covenant of Grace with salvation; i.e. that the Covenant of Grace only contains inward and no outward expressions, or it only provides a context for the regenerate and not unbelievers. Owen is quite explicit, all through his writings, that there is a temporary nature to temporary covenants. So he says, “It is true, the application of the promises here looks immediately unto temporals, but yet, being drawn out from the testimony of the continuance of the presence of God with his saints, doth much more powerfully conclude to spirituals.” (11:251) From temporary to spiritual in the same covenant? The answer is “Yes,” for Owen. It would be correct, in Owen’s mind, to say that salvation is coextensive for the elect in the Covenant of Grace by the blessings imparted by the Covenant of Redemption. But, it would also be correct, in Owen’s mind, to say that salvation is not coextensive in the Covenant of Grace for those who are not elect, that is why Owen had no problem admitting infants in the Covenant of Grace in any administration of it. To use an example of this by Owen, he clearly describes how promises are not conditional, “That these promises of God do not properly, and as to their original rise, depend on any conditions in believers, or by them to be fulfilled, but are the fountains and springs of all conditions whatever that are required to be in them or expected from them, though the grace and obedience of believers are often mentioned in them as the means whereby they are carried on, according to the appointment of God, unto the enjoyment of what is promised or continued in it. This one consideration, that there is in very many of these promises an express non obstante, or a notwithstanding the want of any such condition as might seem to be at the bottom and to be the occasion of any such promise or engagement of the grace of God, is sufficient to give light and evidence to this assertion. If the Lord saith expressly that he will do so with men, though it be not so with them, his doing of that thing cannot depend on any such thing in them.” (11:237-238) In other words, the gracious aspect of the promises contain in the Mediator are not given based on any condition in the grantee. If there were, no one would ever come to faith, because they do not have the ability to do so. Here, logically, Owen is resting on the immutable nature of the character of God and the Covenant of Redemption. The Covenant of Grace is where this immutable decree is exacted on any given individual. But this sphere called “the Covenant of Grace” by definition, still requires conditional obedience. This is no contradiction because the Mediator fulfills the contract on behalf of the grantee, or as Owen said, on “behalf of believers.” This is why Owen can so easily demonstrate the perseverance of the saints (a large topic in volume 11), over and against those who would place some condition on belief, even though God requires all men, everywhere, to repent. The power of salvation is found in the Covenant of Redemption, expressed in time in the sphere or context of the Covenant of Grace. Sinclair Fergusen in his book on Owen, “John Owen on the Christian Life” says this, “The covenant of grace thus depends upon the covenant of redemption as its foundation, and for its saving power.” (Page 27) Owen says, “So the covenant of grace is said to be established upon these promises, Hebrews 8:6; that is, the grace and mercy of the covenant, and the usefulness of it to the ends of a covenant, to keep God and man together in peace and agreement, are laid upon these promises, to be by them confirmed and established unto us, God having by them revealed his good-will unto us, with an attendancy of stipulation of duty. (1:315) What is “the covenant” in this statement surrounding stipulation on the New Covenant? It is the Covenant of Redemption. Again, that is where the power of salvation, election, predestination and all the promises of God are “yes and amen” in Christ Jesus. To refresh our memories, he says, “Neither will that at all assist which is affirmed, namely, “That in all covenants, — and his promise holdeth out a covenant, — there must be a condition on both sides:” for, we willingly grant that in his covenant of grace God doth promise something to us, and requireth something of us, and that these two have mutual dependence one upon another; but we also affirm that in the very covenant itself God hath graciously promised to work effectually in us those things which he requireth of us, and that herein it mainly differeth from the covenant of works, which he hath abolished. But such a covenant as wherein God should promise to be a God unto us upon a condition by us and in our own strength to be fulfilled, and on the same account continued in unto the end, we acknowledge not, nor can, whilst our hearts have any sense of the love of the Father, the blood of the Son, or the grace of the Holy Spirit, the fountains thereof.” (11:360) If one can make logical sense of this last quote, they can only do so in establishing this covenant in the Covenant of Redemption, as Owen does. That is why in the Covenant of Grace his distinction between grace and obedience is not contradictory. 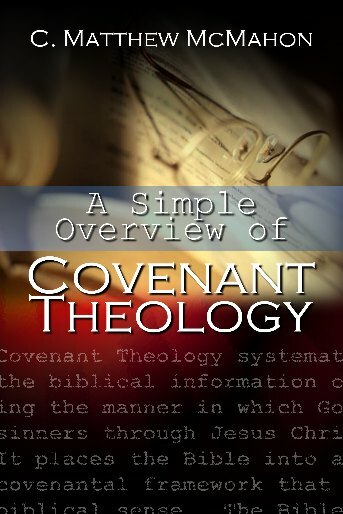 There is much more to be said in conjunction with Owen’s views on Covenant Theology. However, in simply reproducing page after page of Owen’s Works, including delving into his separately published work (which is quite good) called Biblical Theology, the reader would tire (and may already be so.) To sum up Owen’s position, then, simply: Owen believes every covenant in the Bible is conditional – blessing and curse based on the stipulations of the pact or agreement of two voluntary parties. The Covenant of Redemption and the Covenant of Grace are distinct, though one provides a context for the other. The Covenant of Grace is the sphere in which God works, handling both believers and unbelievers in that context upon condition of their obedience. Their obedience is only possible if the Covenant of Redemption is applied to them within the Covenant of Grace, making the voluntary concurrence of those in agreement with God based on the grace of Christ, the Mediator of the Covenant of Redemption. The Covenant of Redemption cannot be broken, but the Covenant of Grace is often broken; “do this and live” is an impossibility and it is only through the Mediator that anyone is able to “live.” The New Covenant, or the Abrahamic Covenant revived, knowing there is essentially on one essence of the covenant in time, is made with the elect and their seed, being of course, the “renewed” Abrahamic covenant now made “better” or more clearly established, as Owen exegetes Hebrews and defines this precisely. The Covenant at Sinai is removed, in that its ceremonial nature is no longer needed since the Mediator of the Covenant of Redemption has fulfilled His work completely in time. With these in mind in connection with the Covenant of Redemption, consideration should taken to rightly exemplify Owen’s position in any theological writing on the covenants. For a very basic overview of this same information in published form, see Sinclair Ferguson’s work, “John Owen on the Christian Life” published by Banner of Truth. Ferguson has both a section on the Covenant of Redemption as well a page or so on the Covenant of Grace from Owen’s perspective.